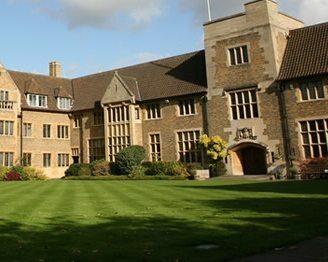 Located in Cambridge city centre, with convenient transport links close-by, Bellerbys College Cambridge is situated in the stunning grounds of Queens’ College, a constituent college of the University of Cambridge. The campus may be historic, but facilities are certainly not. Ideal for scientists and engineers, Bellerbys Cambridge features new laboratories and modern teaching areas. Bellerbys Cambridge offers a 1 year GCSE programme to students before they progress to A levels. Science and technology oriented A levels are geared towards future doctors, dentists scientists and engineers. Mathematics and psychology are also available. Links with the local scientific community means that the Cambridge site is ideal for the study of pharmacy and science. Students with high hopes of studying science-related disciplines at University may be advised to take the Bellerbys Science & Pharmacy Foundation course. Traditional academic subjects are combined with study skills and English language tuition, thus ensuring students are well-prepared for university. As well as homestay options, half-board accommodation is available in the College’s Manor House, situated just north of central Cambridge.